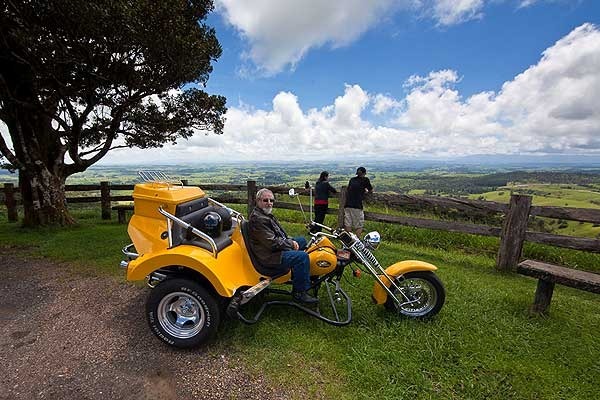 What better way to see the Atherton Tablelands than from the back of a Trike? 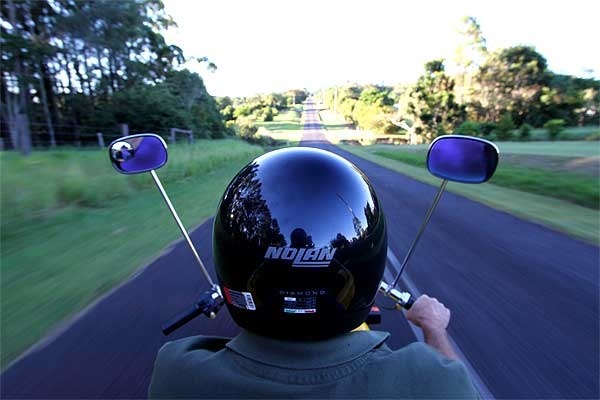 Experience the wind in your hair as you travel around the Atherton Tablelands area and take in the scenery. 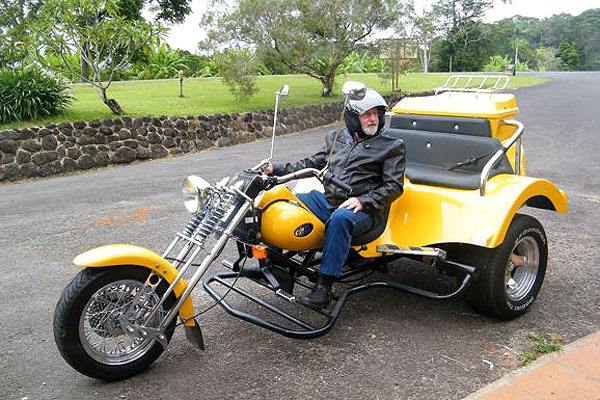 John is a fully qualified trike operator, and will take the time you on the ride of a lifetime. 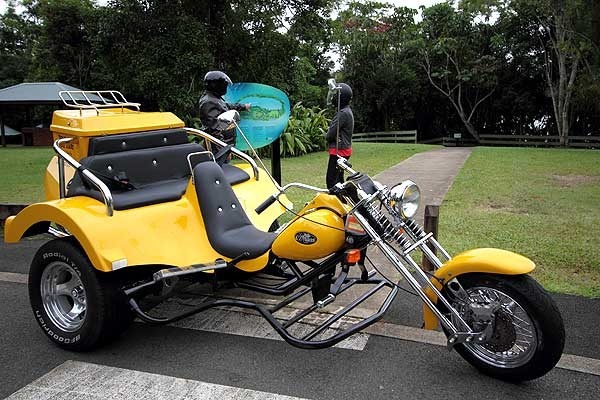 The trike is a 2004 OZ-Trike Chopper 4. It is licensed to carry 3 passengers plus the driver. If pick-up is required outside of the 20km radius, a small fee may apply. 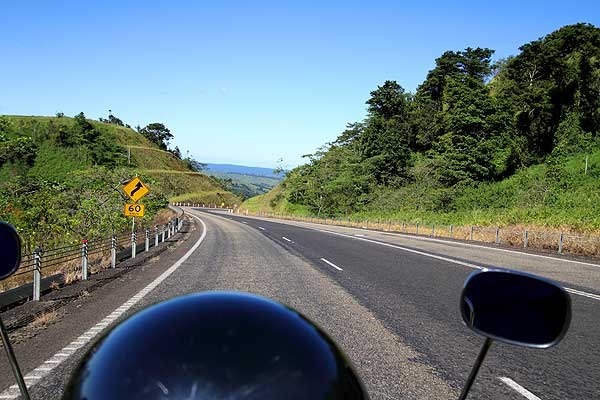 The Atherton Tableland sits 720m above sea level or located just one hour from Cairns. 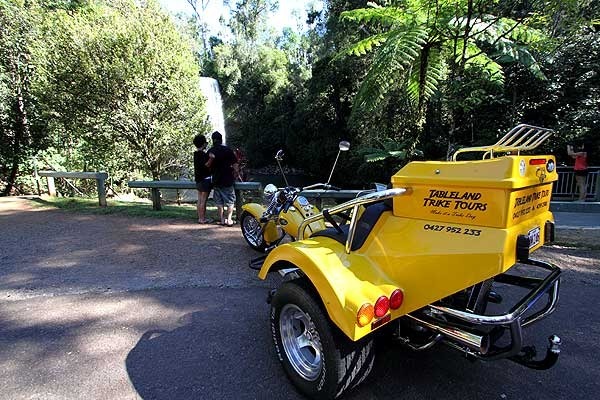 Renowned for its World Heritage listed Rainforests, cascading waterfalls, National Parks and Crater Lakes, The Tablelands provides a stunning backdrop for fun and adventure!!! 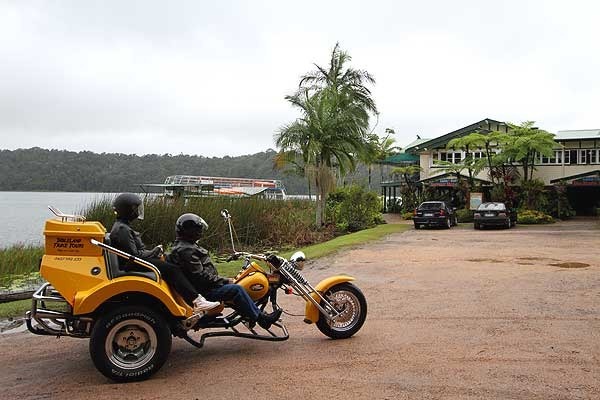 Your choice of destination - Free pick up at your local accommodation (within 20km of Lake Eacham), or meet at a designated point. A minimum of 2 people are required for this tour. Max 3 people. 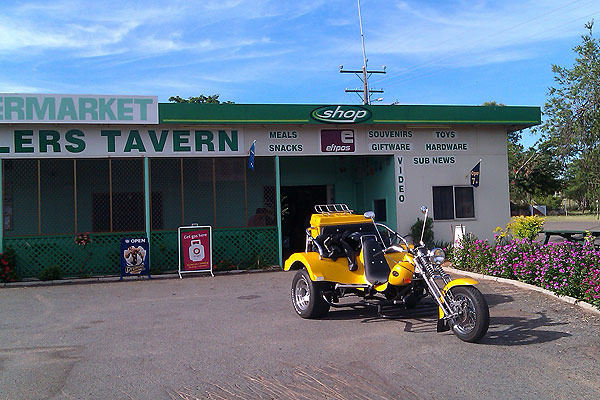 Visit 3 historical pubs of the Tablelands. 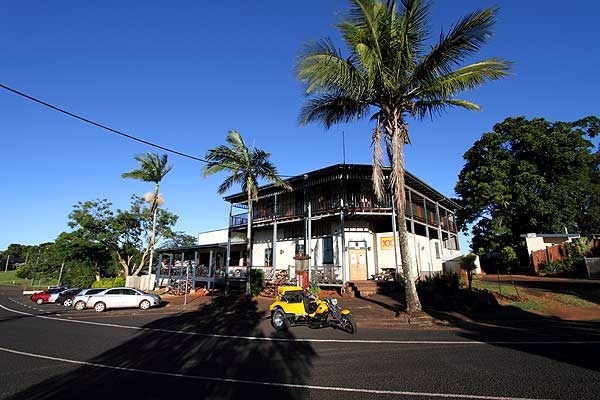 Start off at Historical Yungaburra Pub, once the destination for Cairns locals in the early part of the 1900's. Then on to the Peeramon. This pub is steeped in history and is still in the process of rebuilding after devastated by Cyclone Larry. Lastly the Malanda Hotel, which is possibly the single largest, fully timber structure in Qld. One standard drink at each pub is included in your tour price. 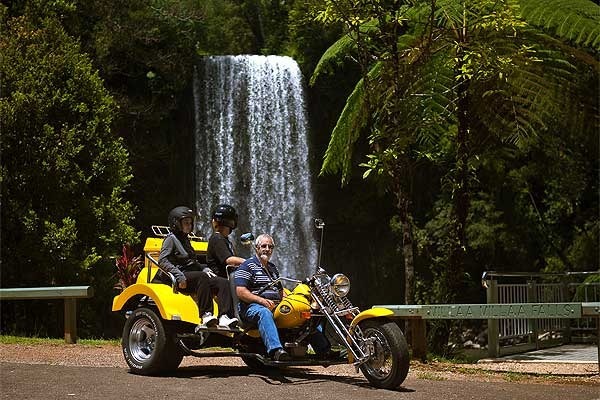 Visit the waterfalls and the lakes - Lake Barrine, Lake Eacham, Millaa Millaa Falls and the lookout. Included in this tour is a devonshire tea. Mt Hypipamee, Herberton and the Curtain Fig tree. Visit the beautiful National park of Mt Hypipamee with the mysterious crater. Onto the outback town of Herberton. Visit the Mining museum or the Camera Museum depending on opening times. Stop into a cafe at Herberton for a coffee or devonshire tea. Entry fees and coffee, tea and snack included. Head over to Mareeba to visit the Coffee Works. Indulge in a one hour "Coffee World" experience which includes tasting of 21 coffees, 4 local plantation teas, 3 luxurious liqueurs and 12 decadent chocolates. Then a short ride over to the Golden Drop Winery for a tasting of premium mango wines. Heading back home, stop into the Mt Uncle Distillery for a tasting of award winning spirits and liqueurs. Then drop into the famous Big Peanut for a chance to taste and purchase some delicious roasted peanuts in all sorts of varieties. Tastings and entry fees are included in tour price. Rocky Creek War Memorial Park - During 1943-1945 the entire Atherton Tablelands was the largest military base in Australia, housing between 100,000 and 300,000 troops from 140 different units. Rocky Creek is a memorial to the service men and women, and is established on the site of the largest field hospital in the southern hemisphere. Becks Museum - Becks Museum is the biggest privately owned collection of war machines, planes and equipment in Queensland. People who have a passion for restored planes, tanks and wartime memorabilia will enjoy this museum. War Birds - Open Wednesday thru Sunday. Museum and hanger featuring extensive collections of ex-military aircraft from around the world. Some of the collection include the P40 Kitty Hawk and T28 Trojan.